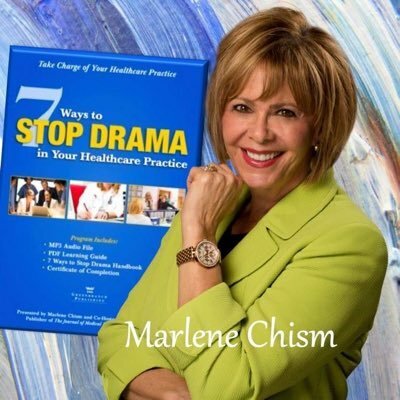 Today, our guest is Marlene Chism. She’s a consultant executive educator and author and this episode is Work Minus Drama. Hi, Marlene. How are you? Hi, Neil. Thanks for having me. I’m very excited to talk to you. Work Minus Drama is a big topic and you are well-known about drama. You have a lot of books about it. Why don’t you tell us about yourself? Well, I’ve been doing this work for about 20 years. It started out with professional speaking and it started leading to more interesting work, I would say, where organizations were experiencing certain kinds of drama and they wanted it gone because it affected productivity and effectiveness. So, really, I work in all kinds of ways now. It can include professional speaking and it can include training and leadership and it might include executive education. So, it really just depends on the outcomes that the company is looking for. So, give us your quick definition of how you define drama, workplace drama. Well, my definition is a little different than what’s out there. A lot of people, when they hear that word, the first thing they think of is, “Well, we have a bunch of women and so therefore we have drama,” but I jokingly say the next book is going to be called “Men Have Drama, too,” because drama is a human condition. And truly, if you’re growing and you’re learning, you’re going to experience some drama. But my definition so that it really encompasses what we’re talking about is that drama is any obstacle to your peace and your prosperity. So, from that perspective, if something’s eating at you, if it’s bugging you, if it’s keeping you from focusing, it’s drama for you. If it’s hurting the bottom line, if it’s hurting productivity, if we’re losing clients, if we’re experiencing unwanted turnover, if we have trouble with retention, that is drama also because it’s hurting us in regards to prosperity. So, it’s not only at the human level where we’re experiencing relationship issues. It’s also in the business results area where we see it in what we would call business terms. I like that, the peace and prosperity, anything that’s impacting that is there. And you bring up an important point that there is this kind of negative bias I guess that’s gender driven with drama that I think most people would think maybe that it’s a female thing. So, how do you fight that or have you thought about maybe using a different word or what’s your strategy with that? You know, I have, Neil, because in some ways, it is difficult to really encapsulate what I’m talking about, but on the other hand, it’s really useful to use a word that’s not already out there so that we can start to change our concepts and our mindsets. If you really think about drama from the perspective of if we define it any obstacle to peace or prosperity, look at our government right now. Lots of drama. Lots of men. Look at sports. If you look at the history of sports, you see all kinds of drama. It’s just different than the gossip and petty bickering. So, really, when we’re trying to get results, we want to create really solid definition so that we have the same frame of reference. So, I just kind of laugh when people say something like, “I don’t do drama,” because they’re using a different definition, and truly, people that say that, a lot of times, they create a lot of drama because they’re either bullies or they avoid. So, when you start to use a definition that’s more well-rounded, it helps you to wrap your mind around it and then to start creating strategy and plans that help you to get the results you want. Yeah. Great. This is a great start. So, you know, everyone kind of has an idea what drama is but when did you personally decide to make a career out of it? You know, when I started making a career out of it, it was sort of an evolution. And so, the first part of that evolution was when I wanted something more for my own life and I had a lot of, what I would call mental drama or the life purpose drama. So, it was very personal for me. I wanted to do something differently. I worked in a factory for 21 years. I was a blue collar worker and I wanted to change my life and I didn’t know how to do that. So, that was my drama, my experience, if I want something more, how can I become more of a creator of my life rather than a victim because I’ve been at the factory job for 20 years, it’s really difficult to make that kind of change because you’re already grounded in certain mindsets. On that journey of self-development and taking college classes, finishing up my bachelor’s degree, and investing in myself, this was before I got the master’s degree, of course, but I discovered a tool that was created by a psychiatrist and it’s called the Karpman drama triangle. And that tool literally changed my life when I started understanding the relationship dynamics that happened between people. We can talk more about that triangle later if you want to. But the idea is that in any kind of drama, there’s always relationship challenges, and you’ll see people either showing up as a victim, a persecutor, or a rescuer. For example, you can be like Stephen Covey and talk about trust. Your capstone is going to be research-based and it’s going to give you understanding and frameworks from which to go out and work with companies. And so, my capstone was entitled, “Drama in the Workplace Hampers Productivity: the Effect of Relationships on the Bottom Line.” So, that’s the three layers that happened for me in my own transformation and in my own decision to start writing and talking about drama. Wow. That’s amazing and hats off to you for making that transition. We all know it’s not easy so it’s a really great example. I love that story. So, I want to know the types of drama. You alluded to something like mental drama that you were going through in yourself. How do you kind of categorize different types of drama that are out there? Well, it’s all drama because it’s an obstacle. So, really, if I’m working with someone in a coaching aspect, if they’re an executive or a leader, I’m either trying to help them get results with their people or I’m trying to work with them on their mindset and their behavior. So, a lot of times, it starts out with an executive calling me and saying something like, “I have a director that’s really not very good. She doesn’t follow through,” and there’s all kinds of reasons why they don’t think that director is very good but they don’t want to fire that person. And it’ll always start out with what I call “go fix Fred.” In other words, Fred’s the problem, not me. But when I dig a little bit deeper, what I find is that that executive has let this go on for a certain amount of time, therefore, it’s not just Fred. If I can then work with that executive to learn how to have a performance conversation or to find out where they are dropping the ball where they’re not instituting measures of accountability, where the culture is partly to blame because of the way things are done or because of the constraints put on them, that kind of coaching is eliminating drama but not just from the drama that they’re pointing out. I’m digging a little deeper to find the root of drama, and a lot of times, it’s their own behavior, it’s their own mindset, it’s their avoidance. And the bloom of the flower looks like it’s Fred that needs to be fixed, and sometimes that’s true, but when the leader really learns how to be clear on the expectations, look at the job descriptions, coach that performance, and create accountability, that was the real issue because if you don’t get to the heart of it, it’s going to happen again. Do you feel like, in most of your experiences, that the root cause tends to be a personal issue, a personality issue, something that individual person hasn’t developed yet, or a systemic issue where it’s something where the organization just isn’t organized the right way or the technology they’re using isn’t correct? Which one tends to be more the case? That’s a brilliant question and I think it’s a both/and world. The way that I organize, the way that I work with it, because it can be systemic, in fact, I was just coaching someone the other day that was talking about how they had someone that gave them bad assignment. I said, “Was that your boss?” and they said, “No.” And I said, “But you don’t have any power over the assignments.” “That’s true.” And I said, “Then that is cultural. That’s systemic. Because the truth is they are your boss.” In a way, if you have no power to say no, you’re not colleagues. So, it’s the way that we define things. So, right there is an issue. They had a personal issue with each other. It couldn’t be resolved, but partly because the system that they were in. And so, it is both and the way I help to find that issue, or whether it’s a combination of both, one or the other, is to say that, in all drama, there’s always three common components. The first of which is a lack of clarity. And so, in the example I just gave you, while he’s saying, “No, that’s not my boss,” and in the same breath saying, “But I have no power,” then that’s incorrect. That’s a lack of clarity. It’s not congruent. If we’re equals, I have power. Does that make sense? So, really, it’s all of those things but what I look for first is a lack of clarity. How are we defining things? What are the expectations? What is my understanding? Where’s our lack of knowledge? I look for a lack of clarity first because I have a philosophy and a believe that clarity can change any situation. And I also know that this is the distinction just because you’re unclear about something does not necessarily mean that you have drama. I can know that I’m unclear or don’t have complete information and I can be okay with that and I can say I’m in the unknown. There’s more research to be done. There’s more questions to be asked. And there’s no obstacle to prosperity. There’s no obstacle to peace. We keep operating. We move forward. Or I can say I don’t have the research. I don’t have the knowledge. And it’s causing me so much grief. I can’t even focus and we’re fighting because we don’t have this knowledge. Now we know that the lack of clarity is causing drama. So, in all drama, there’s always a lack of clarity, but and just because you have a lack of clarity does not necessarily mean you have drama. Clarity is a big theme in your book, which I really enjoyed going through and reading about how important it is for that. You mentioned that this is just one of three elements, though. What are the other two? The other two is relationships and you brought that up. And relationship, I talk about that differently, too. Most of us think of relationships as me and my boss, me and my colleague, me and another person, but when you really dig deep, a relationship only exists because of the way we think about something. So, we have relationships with the idea of leadership, the idea of authority. We have a relationship to our workplace. We have a relationship to culture. We have all these intermixed relationships, and yes, on the personal level, that’s where you see the bickering, the backstabbing, the gossip, the “I don’t like her,” he said, she said, the ping pong. That’s a relationship issue. But very much mentally, we have relationships with, if we say, you know, women at the water cooler bickering and gossiping, that’s our mental image of how we view women. If we view employees as troublemakers and they’re cogs in a wheel, that’s a relationship issue because of the way we’re seeing other people. And in order to resolve a conflict, especially in a relationship, you first have to do the inner work of changing the way you see the other person because if you’ve got judgment against someone and you’re talking about them, “Well, they’re an idiot. Well, they’re clueless. Well, they don’t get it or I’ll just pull the wool over their eyes,” when you’re looking at someone and you have that internal mindset about them, that right there is the relationship issue that’s at the root of the inability to have a conversation because there’s no respect. I’m sure one thing you deal with a lot is the history between people, you know, something happened five years ago, ten years ago, that’s affecting the present day. How do you go about those challenges? Now, that’s great because that’s really about forgiveness. It’s unresolved. And so, when we think about conflict versus alignment, conflict is like seeing two arrows going in opposite directions and we’re really stuck. And so, the past, when we have an issue with the past, we have several choices to make. We can try to talk it out and resolve it and get apologies going, we can set certain boundaries. Or we can decide to forgive with the understanding that we can forgive but we would no longer allow certain things to happen because we need better structures or boundaries. So, what I try to do this to help people to get clear on what they want moving forward versus focusing on what happened before because wherever you put your attention is where you’re putting your focus. So, if we’re continuing to have backwards conversations about what you did, we need to find a way to resolve that, and really, it boils down to personal trust versus trusting the other person. What I have found is that if I’m scared to death that you’re going to screw me over, I may never think that you’re going to do me fair. The real question I have to answer is do I have the resources and the resiliency to deal with whatever happens, even though I may not be able to trust you. That’s the real question because I need to trust me and that’s where I find people are paying too many eggs in their basket of trying to trust someone else versus deciding that they have choice, there’s boundaries, there’s structures that can be put into place and we need to learn how to trust ourselves so we can quit putting the focus and blaming other people for our offsets. Okay. So, we have clearly. We have a relationship. And then, what’s the third one? So, the resistance is the back and forth, the ping pong, the someone saying they want the help and then not accepting it, and you know, that’s a deep subject. It could be a whole conversation. But resistance, the difference is, like, if I say, “No, I’m not willing to do that,” then I have to be willing to accept the consequences. That’s not resistance. Resistance is where I say I want to but then I don’t or I argue with you and we waste time talking about the past, we get distracted. And I see this a lot with human resources people. I see it a lot with middle level managers. They simply don’t know how to maintain the focus and clarity of a conversation and they get with an employee who’s resistant to their feedback and it turns into what I call ping pong, they go to the island called Look What Sally Did or they go to the island called That’s Not Fair. And so, now, we’re into those kinds of conversations which is irrelevant to the future of what we want to create. So, have you ever had a situation where there’s something that’s drama, and by your definition drama is always negative, but has there ever been a time when drama has actually lead to a lot of positive things or maybe someone thought it was drama before but it ended up being actually a good thing for the company? Well, almost always because, you know, the second the drama leaves ship, I’m making this statement that truly drama can be a stepping stone to enlightenment. And so, it really is the way that you look at things. If we have conflict, drama, we have a problem with our business, we have a financial issue, what is drama in the moment when we shift our attention to what are the opportunities, what are the choices, how is this going to make me grow instead of why did this happen to me, I’m a victim, your fault, when we shift our perspective to that of being a creator, we can experience the emotional part of drama and we can experience the reality and the fact that this is difficult, that it seems that there’s no answer, that right now we’re stuck. So, how do you handle a situation when who gets to define what drama is? So, you may have, like, an upper level management that somebody brings a complaint and they say, “Hey, you know, this is just drama. I don’t want to deal with it right now,” versus someone else who feels like, you know, this is actually a legitimate complaint and it’s not being fairly addressed. How do you address those issues? Well, that’s a great question, too, but truly, if drama is any obstacle to peace or prosperity to the person that it bothers, it’s drama for them. If the leader or owner can’t see the bigger picture of how it could be drama for the company then that becomes a problem. So, whoever is experiencing it is the one that gets to define it because for them it’s drama. There some sort of inner conflict with it. Now, you know, I think that a leader’s job is to focus energy. So, I say that if leadership is about anything, it’s about alignment and alignment is about focusing energy. And so, along those lines, and this is more middle management type of teaching that I used to do a lot of, a lot of HR kinds of things, but the idea is this. People complain for a handful of reasons. We all kind of get negative because we get into a habit, so that one notwithstanding, the reasons that people complaining is they either want something and they don’t know what it is or they want something and they know what it is but they don’t feel that they have the power to get it or change it. And so, if we can understand that there’s a perceived need that’s not being met and if we as leaders can decide to not discount that but to at least hear it out, focus the energy, get to the root issue, what’s the real problem instead of all the history, all the stories, all the ping pong, if we learn the communication skills to get to the root of how that person sees it, then what we want to do is we want to, from a leadership perspective, we want to look at it and say, “What’s the business point here? Is this going to increase turnover? Is this going to create a toxic culture? Is this going to lower the productivity?” We want to do that at the back of our minds. But as far as helping the individual, it’s really about coaching them to find their choice and to actually explain what they want because, as long as you’re talking about the problem, you’re not really talking about what you want. And so, one of the tips and tricks that I give to people at all levels is to say go out today and the next time you hear, whether it’s your three-year-old, whether it’s your husband, whether it’s your manager, your director, or even your executive, you hear someone, a customer, and they’re complaining and they’re railing and they’re all over the place, the first thing that people want is to be heard. You don’t have to agree with them. But the first thing is, “I hear you,” or, “I might feel that way if I were in your place, too. Explain a bit more,” or, “I hear you and it’s not making sense to me from where I am but I’m hearing that you’re very upset.” Once people feel heard, the next level is, “You know, what is it that you want?” Now, what you’re doing here with that is sometimes people are very dumbstruck by that question. They’re so busy talking about the past and about what’s not working, they have not really even defined what they want and what I have found is that when people are clear on what they want, they can move to that place much quicker. So, if you can say what do you want or what would be your outcome, if you could wave a magic wand, there’s a million ways to say it in your own language that gets someone guided and directed to talking about a future outcome that’s not there right now. So, the question is what do you want. If they say what they want and it’s relevant and it’s a viable, now you’ve got something to work with. We can work with choices, we go over strategy, we can work with barriers, but until someone says what they want, you can’t help them. Wow, it’s a really powerful way to start to think about what these dynamics are when it comes to the drama as it turns out. Marlene, the last question from me is you referenced the idea of people who say, “I don’t do drama,” may actually end up being a bully themselves. What does workplace bullying look like? What are some of the common things you see in that way? I see that a lot of times with new supervisors and maybe even in blue collar construction type, heavy equipment type of organizations, in fact, couple of years ago, I did sort of a tour. I worked with a client of mine and they offered me as sort of a consultant, a leader of some facilitated workshops for like middle level, lower level supervisors of their client companies. And I did a survey and one question on the survey was, “What’s your ability or your confidence in initiating a difficult performance conversation that gets results?” And I started noticing a trend and I got this trend of people that were one to two to three years into supervisory, especially the men, this is where people think men don’t have drama, they would give themselves a 10. They’re great at it. And then, like, four questions later, their biggest problem was accountability, which means that they think they’re good at initiating a conversation, but the truth is they’re not getting results. And what I also saw was that they didn’t really often have the skills in a way that would make people want to work with them. So, while they didn’t have trouble initiating the conversation, it was more from a my way or the highway, I’m the boss, I’ve got the power. What I believe this comes from is that good technical performers, people that are very dedicated to the company, they get promoted but they don’t know how to lead. And so, they go one of two directions. One direction is they try to become best friends with everybody from the myth and the mistaken belief that, “Well, if they like me, they’ll work hard for me and we’ll all get along and I’ll be the really most liked boss.” That generally never works because people are going to take advantage and there’s always a division, us versus them, that’s going to happen with different layers of leadership. It’s just human nature if the status issues are there. The next layer that goes through is, “You know what? That didn’t work or maybe I don’t want to work. I’m now the boss. I feel a lot of pride with that. It’s my way and I know how it’s done. You need to listen to me. I’m the one that got promoted.” Neither one of those strategies or behaviors work because people do want to be heard. They do want to be led. They want collaboration. They don’t like to be bullied and that’s viewed as bullying by a lot of people. A boss that says, “I didn’t ask you to work here. If you don’t like it, find yourself another place to work.” Right now, we can’t afford that in today’s economy because it’s hard to get workers. So, we’re really, really, really in need of leaders that understand how to communicate effectively to get results through others. But what I find is the most important is the relationship, the respect, even if your grammar is off a bit, depending on the culture, it’s really more about is my boss fair, do I respect my boss, does my boss walk the talk. So, it’s truly about character development, leadership development, communication skills. That’s really what’s going to take down the unnecessary drama in your workplace. There’s enough drama as it is with regulations and mandates, and you know, there’s enough drama already without the kind that is relationship oriented. Yeah. Absolutely. Molly, it’s been great to talk with you. Where can we go to stay in touch with your work? You can go to www.marlenechism.com or if you want to give me a call to see about me coming out to your company, it’s 417-831-1799.